A Stanford study of organic food garnered lots of media attention last week (here’s coverage on NPR, in the New York Times and on CNN). The bottom line: organic foods, by and large, according to the Stanford researchers, confer few health advantages when compared to their conventional counterparts. Critics of the study — or at least of the media coverage — argued that most consumers of organic food don’t purchase it for added nutritional benefits but to reduce exposure to pesticides and to encourage farming practices that are better for the environment. And the study did show that organic fruits and vegetables contain less pesticide residue than conventional produce. The question of whether organic versus conventional farming is better for the environment wasn’t addressed in the Stanford study. But it’s an important one and intuitively, at least to me, it seems obvious that crops grown without synthetic pesticides would be environmentally less damaging than those that aren’t. But the story, it turns out, is more complicated. In several respects, organic farming appears to be more environmentally benign than conventional farming: soil nutrient levels are on average higher; nitrogen losses lower; and water retention better. When nitrogen leaches from soil it can cause huge water pollution problems. And using less water in farming is vitally important. But on one highly important measure, organic farming is worse than conventional farming: productivity or crop yield. Organic farming produces less product per acre than conventional farming does, according to a recent Nature article. Overall, yields are 25 percent lower than for conventional farming, though the analysis shows that yields vary wildly depending on crop. The worst performers are cereal crops like corn and wheat along with some vegetables like broccoli. Organic legume farming, by contrast, is almost as productive as conventional legume farming. 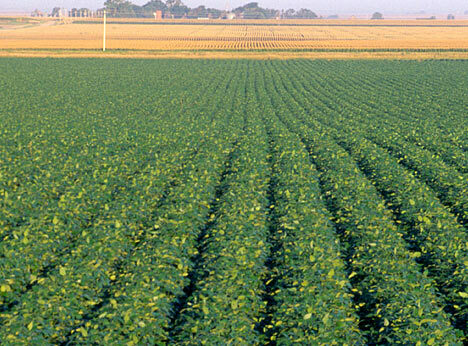 Why does crop productivity matter from an environmental perspective? Because farming is the biggest cause of deforestation, leading to the destruction of forests, grasslands and other land uses that create biodiversity, act as carbon sinks, manage flooding and serve a host of important environmental functions. If we can increase agricultural productivity we need less land for farming. And from a human perspective, crop productivity obviously provides more food for a planet of 7 billion people, 1/7 of whom lack sufficient food. But conventional practices for increasing crop productivity have their own harms: the principal means for boosting per acre food yield is through the application of synthetic fertilizers that contain nitrogen. Nitrogen runoff from agriculture is responsible for, among other things, creating vast dead zones in large bodies of water like the Gulf of Mexico. And as noted above, conventional practices use more water and lead to soil that contains fewer nutrients. So simply abandoning organic farming is hardly a panacea to the problem of crop productivity. So what is the answer? One bright spot in the Nature study is that if organic farmers use better farm management practices (erosion control, crop management, etc.) they can get much closer to conventional crop yields. And certain crops are already close to competitive with conventional crops from a productivity perspective. So we ought to focus special attention on the least productive crops like wheat and corn to see whether and how productivity can be boosted without resorting to synthetic fertilizers.